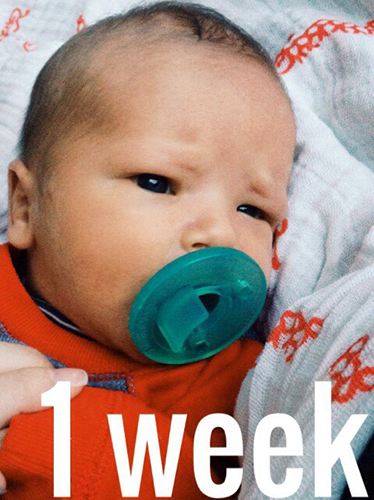 Jackson is already 1 week old, which just blows my mind! Thankfully, I’ve been able to pretty much just sit and hold him alllllllllll day every day, and I don’t plan to give that up anytime soon. So far he is just the sweetest, most content little baby boy, staring at us with these deep, serious eyes and taking in the world around him. Since we’ve had two colicky babies, I’m holding this loosely for now, but I’m hoping that eliminating dairy before he was born will make a difference and he may actually be a happy baby! I first came across Haley from Carrots for Michaelmas when she wrote a rebuttal to a post I had written. She made some great points, and I actually agreed with much of what she said, and I was intrigued by this cute, crunchy, Protestant-turned-Catholic mom who loves to read and is passionate about marriage and motherhood. I ended up browsing through her archives for a while before adding her to my feed reader, and to this day her posts — whether they’re carefully crafted manifestos or simply a collection of her thoughts — are among those that I specifically watch for when I’m reading through new posts. I love following her on Instagram too, and she was such a sweet encouragement to me when I miscarried in the fall. I feel like at that point we moved from just fellow bloggers to actually being friends.